Banking is going digital and instantaneous, which is great news for customers. But it is also a great headache for banks, as fraud is going that way too – the money can disappear into fraudsters’ virtual pockets with a blink of an eye, anytime, anywhere. “Digital” is one of today’s hottest words. Everyone’s going “digital”. But what does it actually mean for a bank/financial institution? If we were to club together Neil Armstrong’s legendary quip and Citi’s “never sleeps” slogan, going digital is as momentous as “a small step for business but one giant leap for the CRO; welcome to the world where the CRO never sleeps”. The flip side to enabling 24×7 transactional access to multiple channels, API banking, 24×7 networks and partner access is that banks now need to: a) worry about the complex interplay of these channels; and b) have exceptionally superior capability to cross-pollinate risks, compliance and fraud across all these channels including core banking. All in real-time! Example: a low-risk account is receiving multiple transfer credits in the core banking system and is systematically using internet banking or ATMs for withdrawals, while being 100% compliant to these siloed transaction limits. We call this a mule account. Another example: a credit card transaction is recorded in a far-away country, while internet banking and mobile banking clearly shows that the customer is in his/her home country. From a CRO perspective, his/her risk window now becomes 24×7 as banks could lose millions of dollars or acquire larger risks and become non-compliant anytime. A bank is arguably the only institution in the world that has its customer entire life information available – from his/her earnings, to spending, to ATM use locations, retail preferences and so on. Hence, a bank can see better than anyone else if there is any fraudulent activity going on. And yet, banks seem to fail to capitalise on that. What can be done or is already being done to address this? Indeed, banking is unique – as it is the only industry where the entire life of the customer goes through it – in a way we can say it captures the “soul” of the customer. This is very powerful, because only a bank can utilise this collective wisdom to make highly individualised decisions for each and every one of its customers. Banks have started to wake up and are going beyond their silo-based product procurements and looking at solutions that are able to give them this power. However, banks often argue that due to complexity of the system set-up, legacy systems and siloes prevent them from creating a “central nervous system” that will bring all the “collective wisdom” the bank has into one place. Is there a solution to achieve this without ripping and replacing the legacy tech? The solution is actually very simple: all we need to do is to look at it from a different perspective! Banks always used to think in terms of tight API-based synchronous interfaces – which make interfacing complex and tedious. Interfacing content being the same, they need to break the technical bit into two components, with each of the two becoming simple by itself. Just like a brain, our interfacing approach is broken into two components – sensory receptors that listen and observe everything, and the motor cortex which directs specific action only when it is required, with the real-time brain in between orchestrating the same. This approach to interfaces is easy, minimally invasive and doesn’t create performance issues in the underlying host systems – as evidenced by our world’s largest such implementation which has 80 million accounts in one single bank. This doesn’t require rip-and-replace and one can cohabit with any existing investments, including legacy. In our varied experiences we have gone live in as little as 50 days with multiple interfaces. Fraud and compliance are negative scenarios. Do they have an upside – can this information/data be used for positive scenarios, such as cross-sell, upsell, marketing etc and how? This is very interesting. Think about it, for real-time fraud and compliance banks anyway need to analyse 100% of transactions in real-time, but only a fraction of these are fraudulent – so what can banks do with the rest of the analysis in real-time? This presents the banks with the unparalleled ability to do instantaneous, contextual cross-sell and upsell, real-time charging and recovery, and real-time offer management in the same analysis window – which will ensure the system makes money for the bank. Having these both on the same platform is a game changer for banks. What are the trends you are seeing in the sector today – particularly in light of the need for real-time capabilities and the convergence of processes/functions (compliance, fraud, AML etc)? What’s the next big thing you predict? Banks need to bring in a network effect and cross-pollinate intelligence among member banks in real-time. This needs to be a holistic approach covering everything, cards being just one of the cogs in the wheel. The regulatory landscape keeps evolving and changing. Hence, banks will look for systems that are robust and flexible for future changes, rather than sticking to the current approach of buying an AML/compliance/fraud solution for only specific problems. Banks will also start utilising the aforementioned “soul” of the customer and the collective wisdom to their advantage, as this will deliver a definite and sustainable competitive advantage by offering superior customer experience. Just think about it: if a customer who’s an “old timer” with a bank (and has all that accumulated data) decides to move to a rival, he/she will have to wait for a long time to get a similar customer experience at a new bank as that new bank is starting practically with a blank sheet. Rivi Varghese co-founded CustomerXPs following a two-decade stint in the IT industry conceiving, marketing and delivering new products. 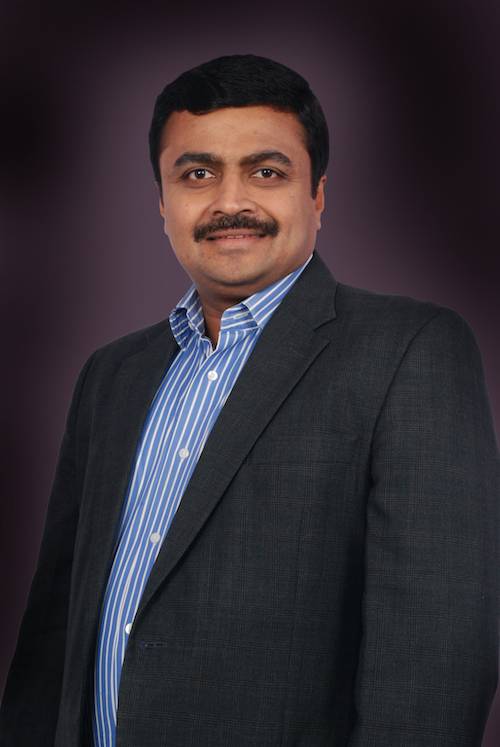 Varghese has significant global experience across 25+ countries across advanced and emerging markets. He has interacted extensively with senior management of more than 250 banks and was instrumental in opening new markets for these products. As a multi-channel expert, he has enabled banking across all possible channels. 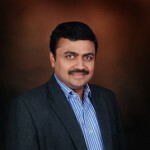 During his stint at Infosys’ Finacle as head of product management, delivery channels, he conceptualised and delivered 12 new-to-the-world products which are now being used by leading banks, a number of them even winning global acclaim. 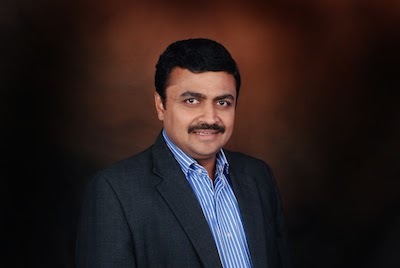 At Microsoft, as product manager, he was responsible for the developer tools business for India, which also included management and fostering the software marketing channel sales end-user ecosystem. Varghese holds an MBA from IIM-Bangalore and is a B-Tech from IIT-BHU. Transnational criminal gang responsible for more than $530 million in losses from cybercrimes. Despite the G20 plans put in place since the financial crisis, CCPs are still vulnerable to unforeseen risks and could put the whole financial system in jeopardy in the event of a catastrophic default, according to senior financial services executives speaking in London today. When the gold rush is on, perhaps it's better to sell picks and shovels to the miners. Infographic: card fraud - is biometrics the missing piece of the puzzle? Canada’s FirstOntario Credit Union looks for help in fight against fraud and cybercrime.